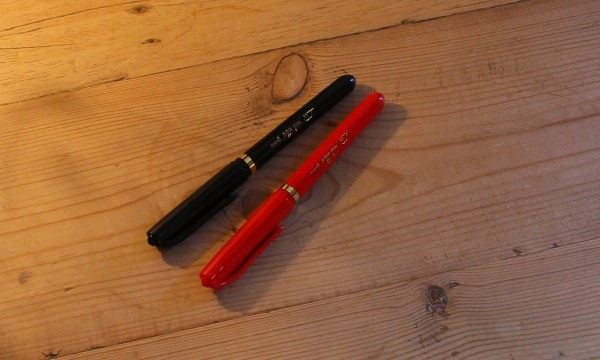 Last time I ordered some Japanese pens from JetPens I got myself two Uni Sign Pens – red and black with the fine tip. For a while I had been using Uni Brush Pens for making notes on A4 paper, however after prolonged use the tips start to get softer. 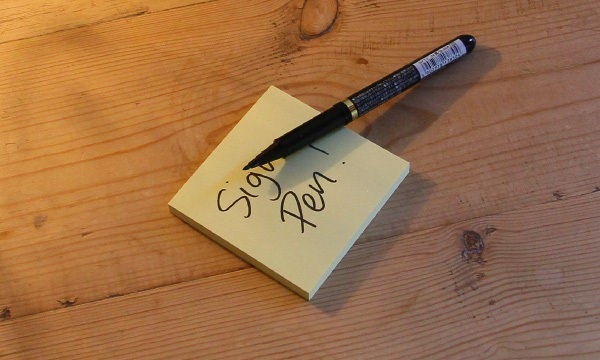 The Sign pen has a much smaller tip and gives a thinner and much more uniform line while keeping the text nice and bold. I find the pigment ink to be very good too, and it doesn’t bleed or go through a Moleskine notebook. Though I was disappointed to find that they’d printed the barcode on an otherwise very attractive gold-trimmed barrel. Why would you put a barcode on the barrel?